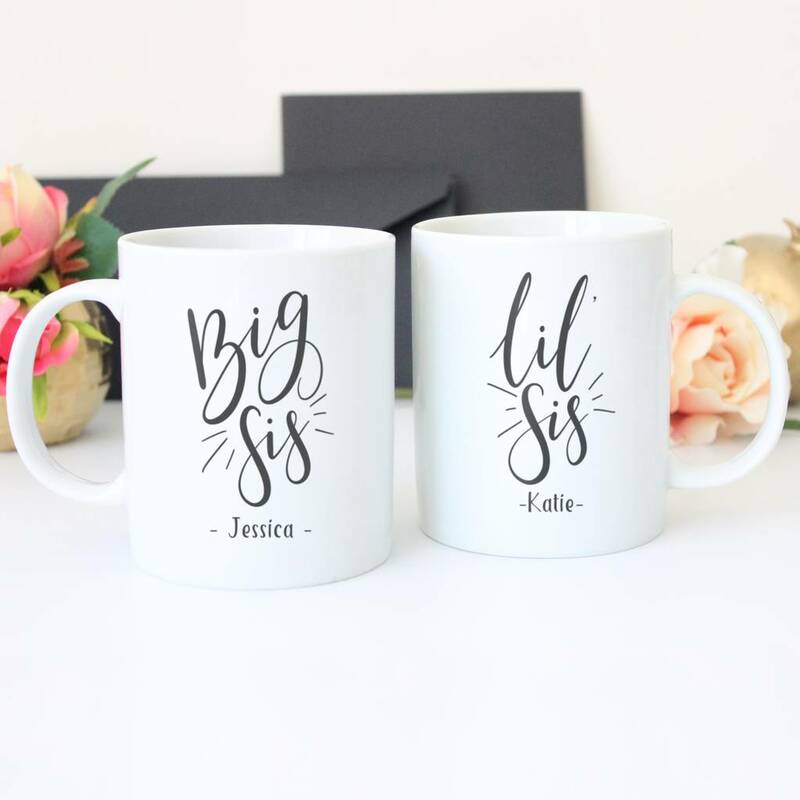 Personalised sisters 'Big Sis' and 'Lil Sis' mug set. This pretty mug set makes the perfect sentimental gift and is sure to bring a smile to the recipients face! The boxes will be labeled on the side so no need to disturb the mugs! Why not add a pair of matching high gloss hardboard coasters? You will receive one matching coaster for each mug. 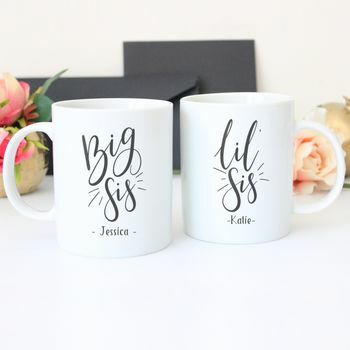 This mug set can be personalised with the names of your choice.